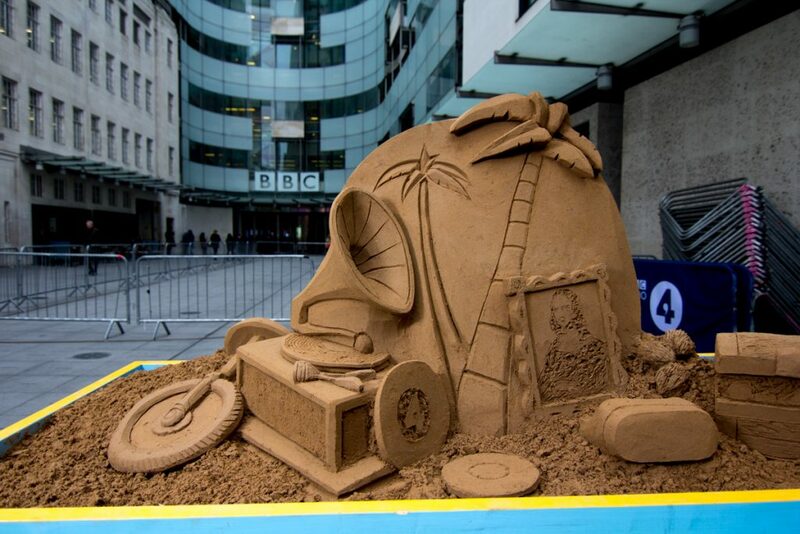 Celebrating 75 years of Radio 4 Desert Island Discs. 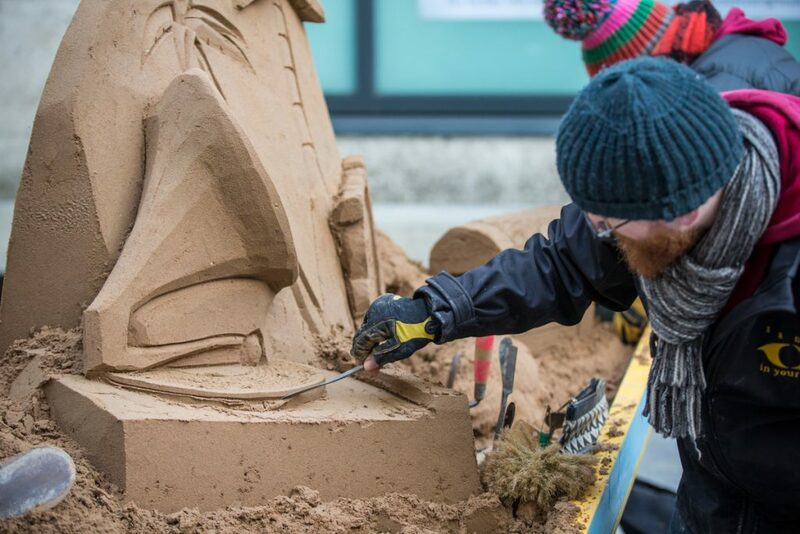 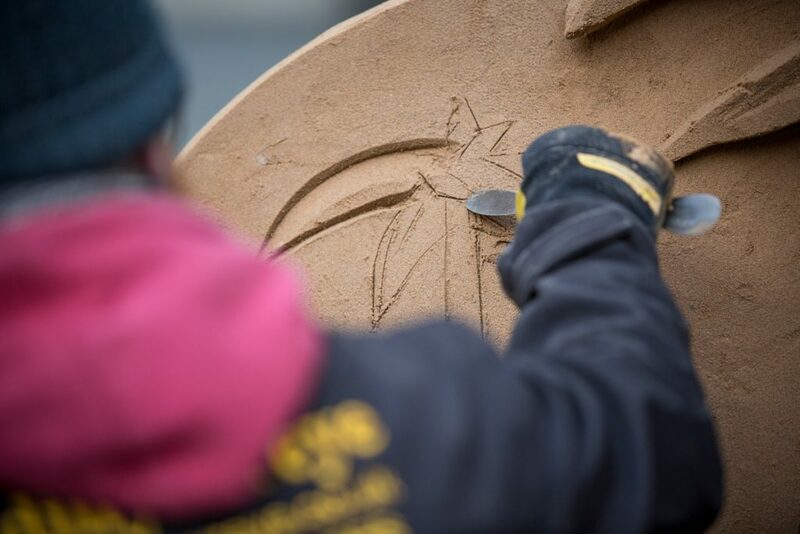 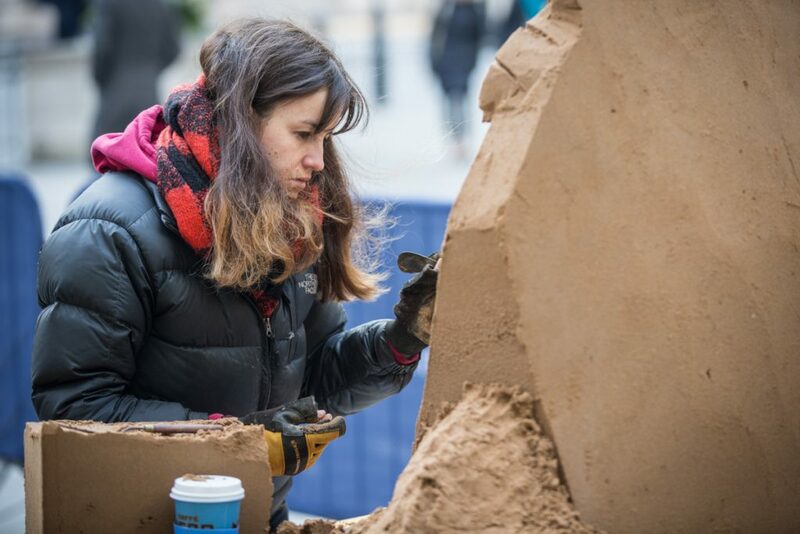 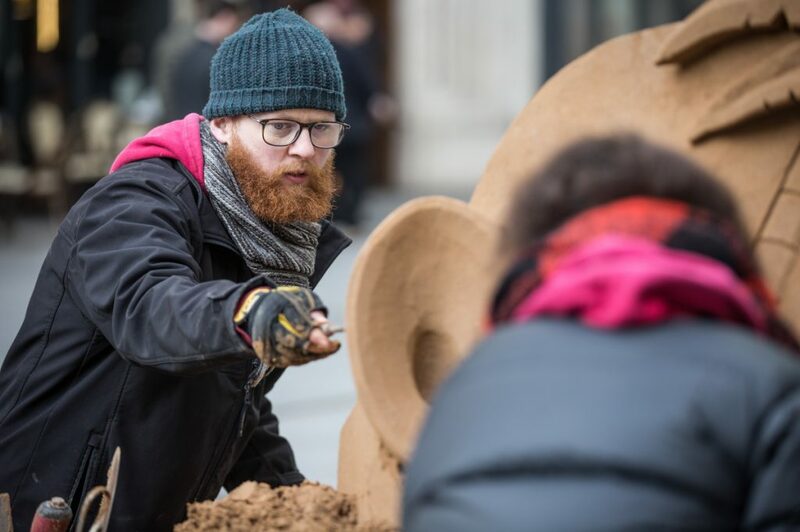 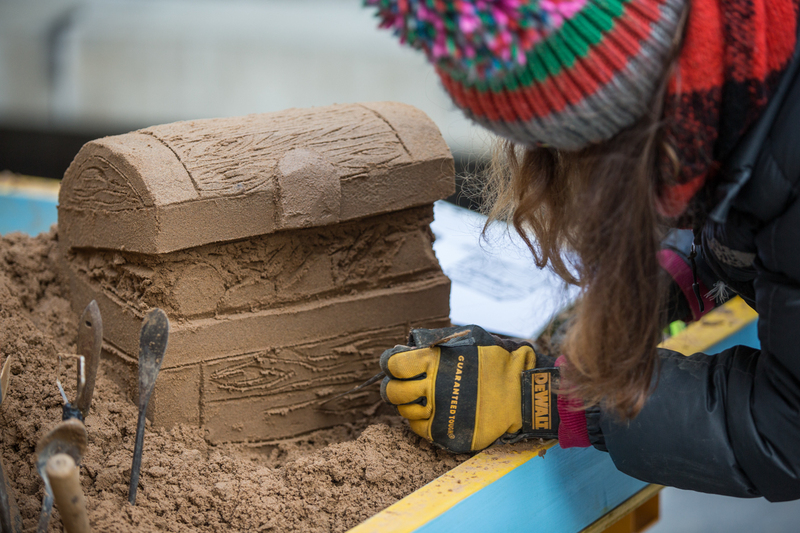 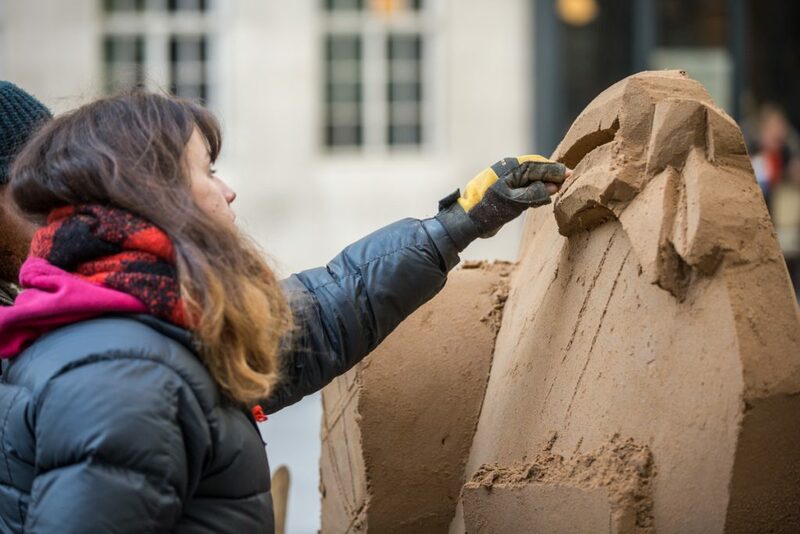 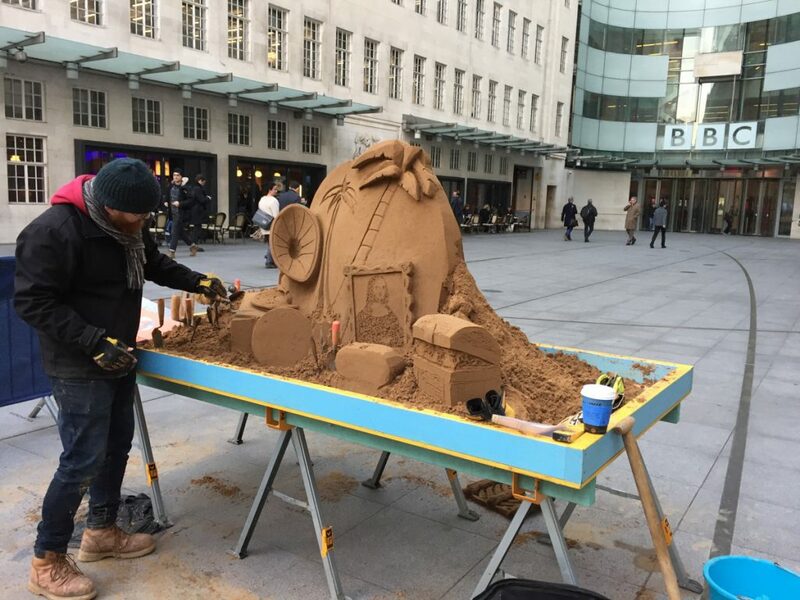 Sand sculpture is often seasonal, generally in spring and summer, so it is unusual to create one in January and outdoors! 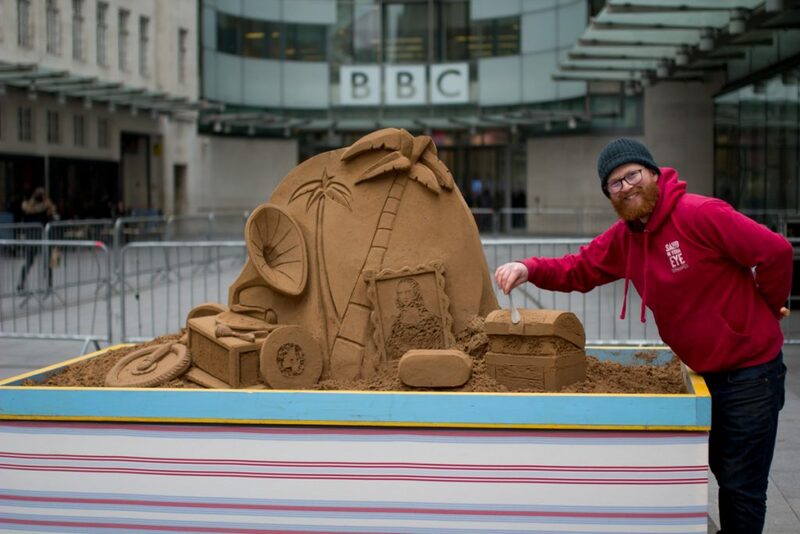 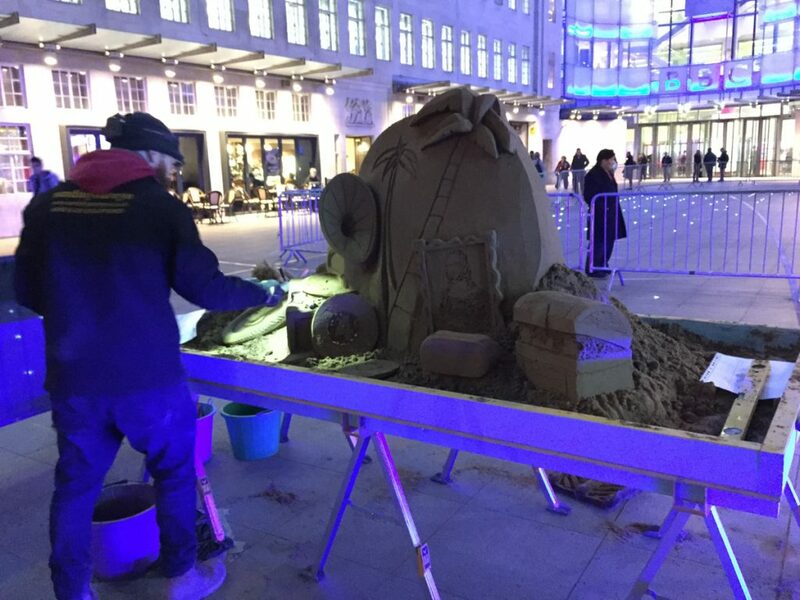 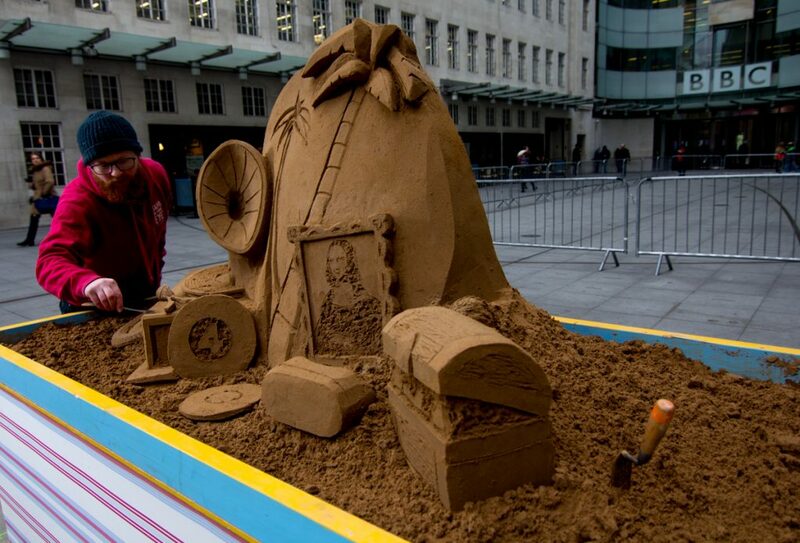 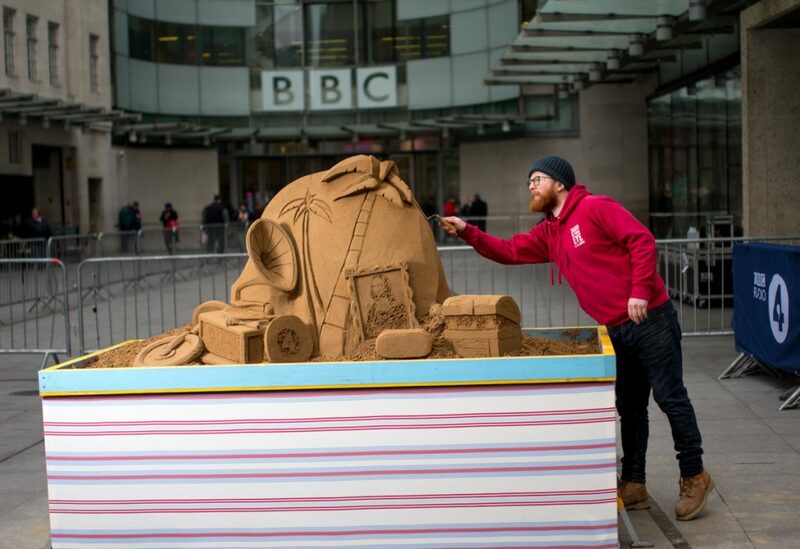 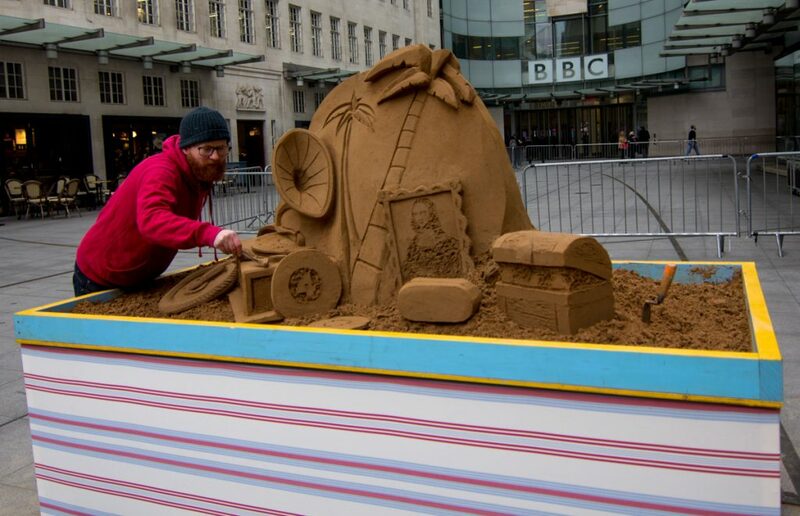 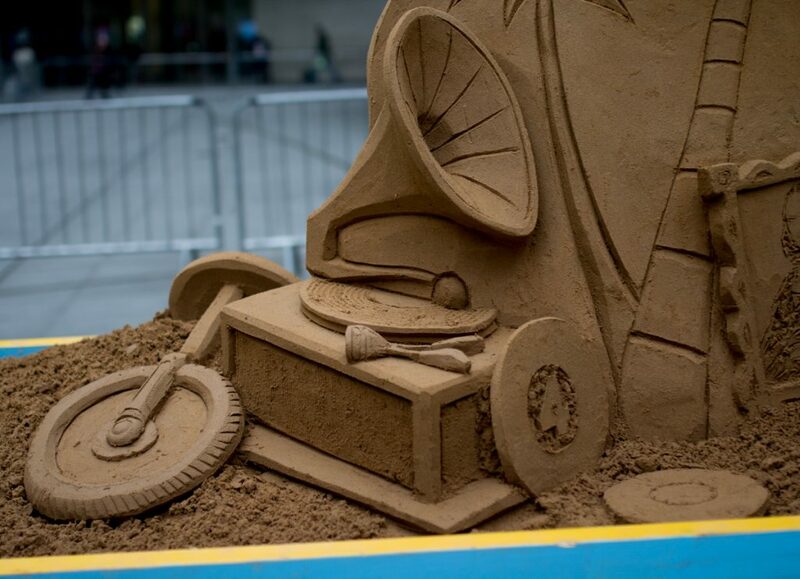 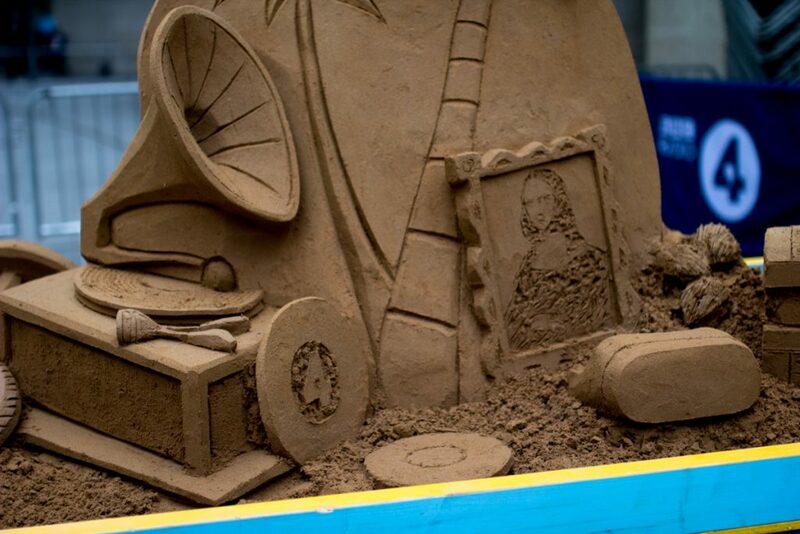 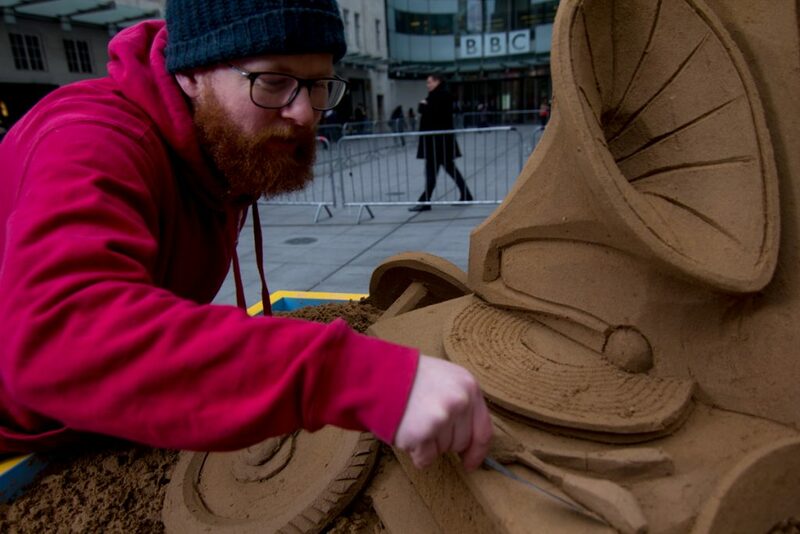 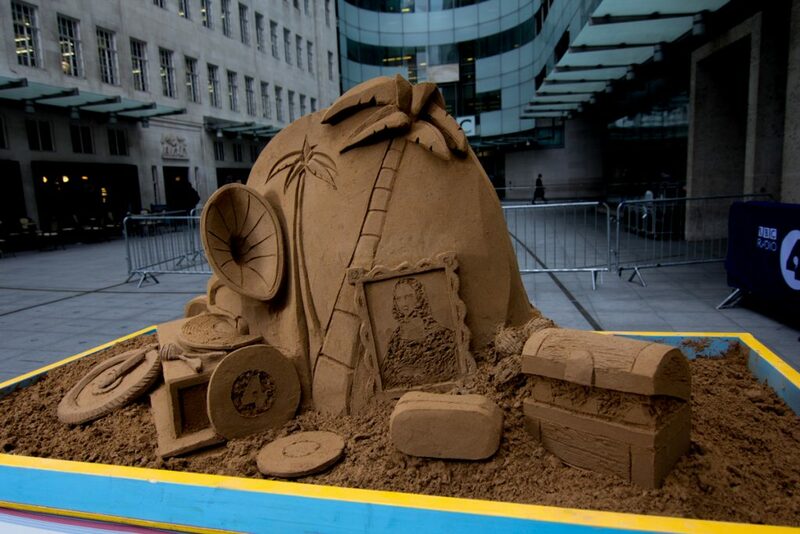 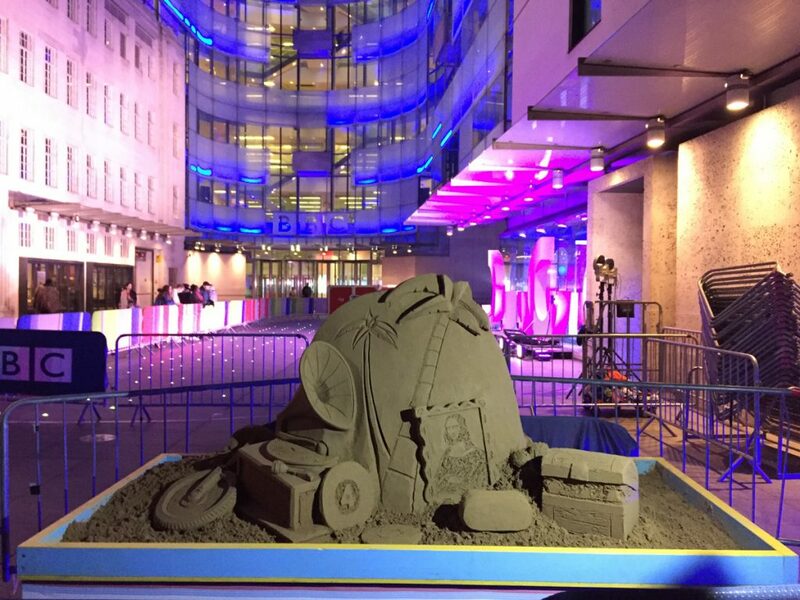 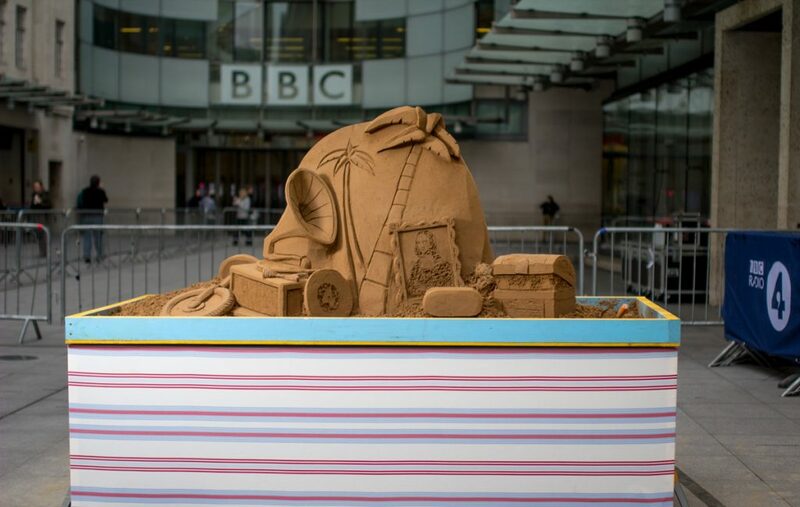 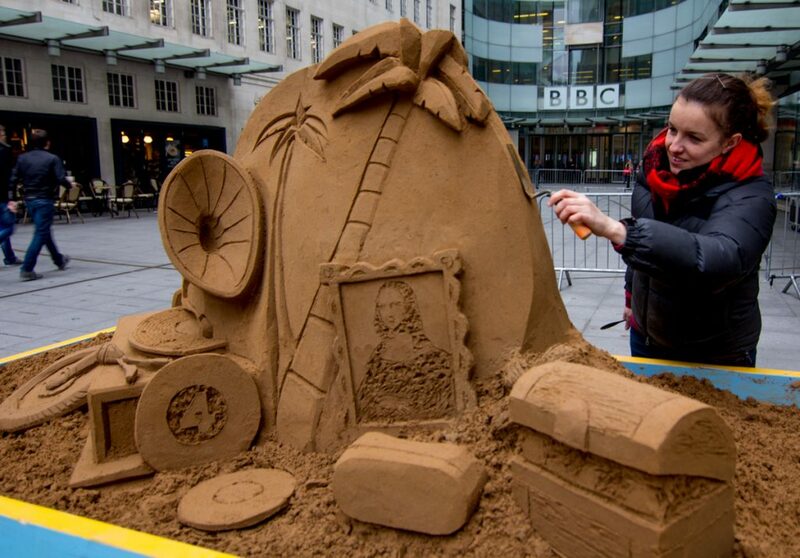 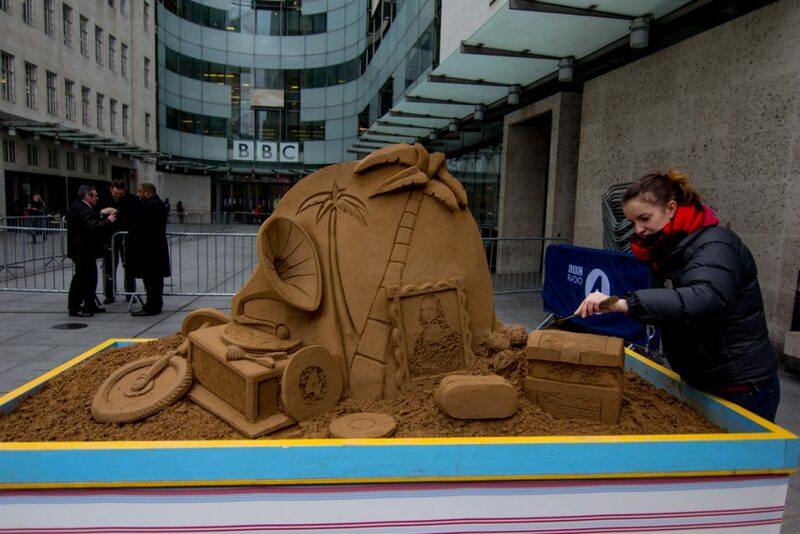 We were delighted when BBC Radio 4 contacted us to create a sand sculpture for them to help celebrate 75 years of Desert Island Discs. 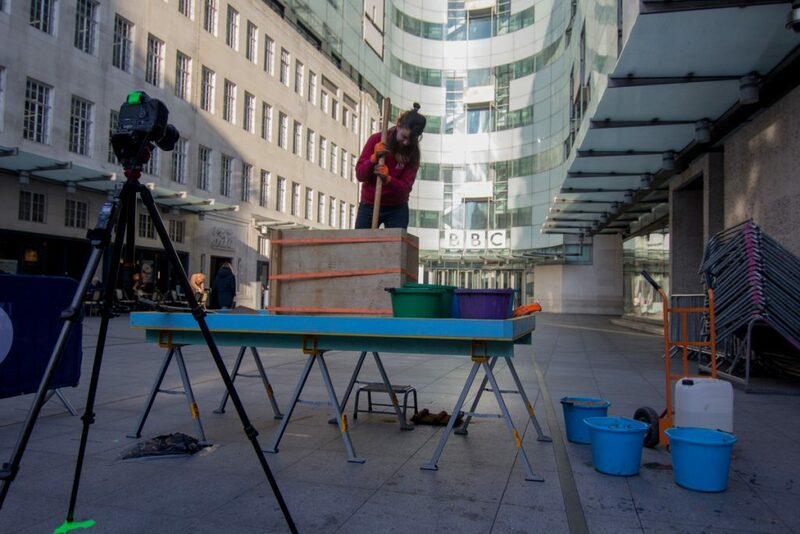 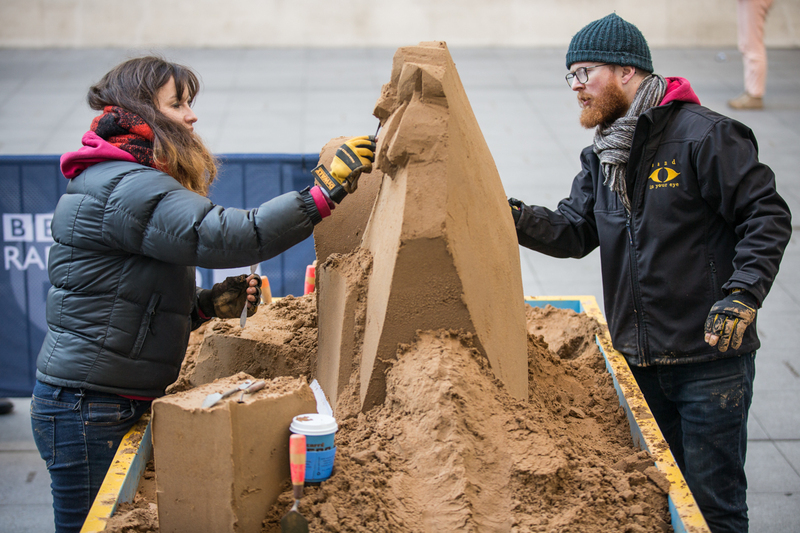 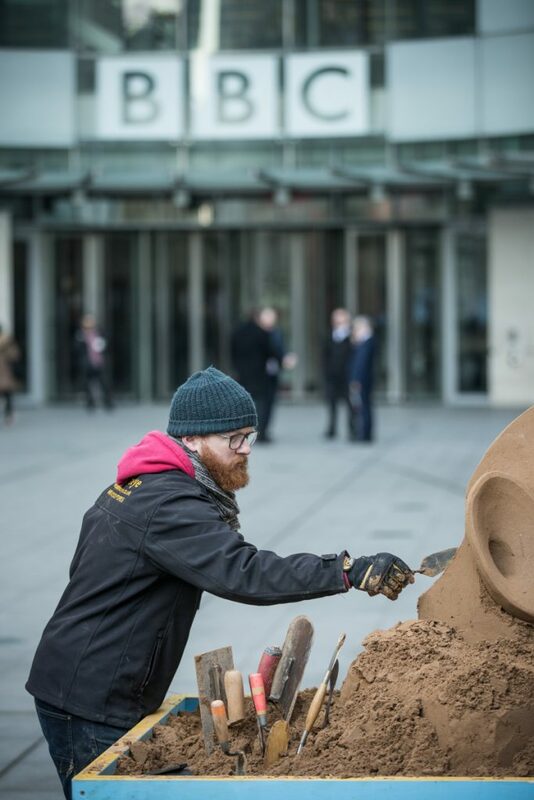 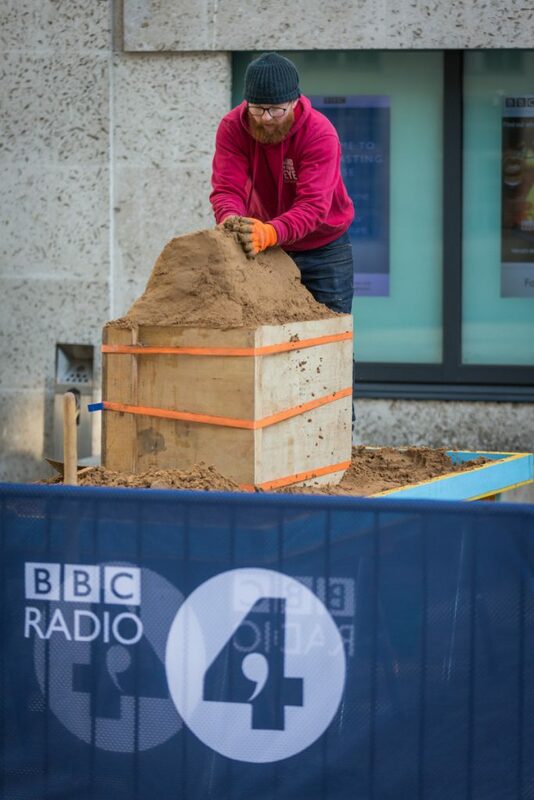 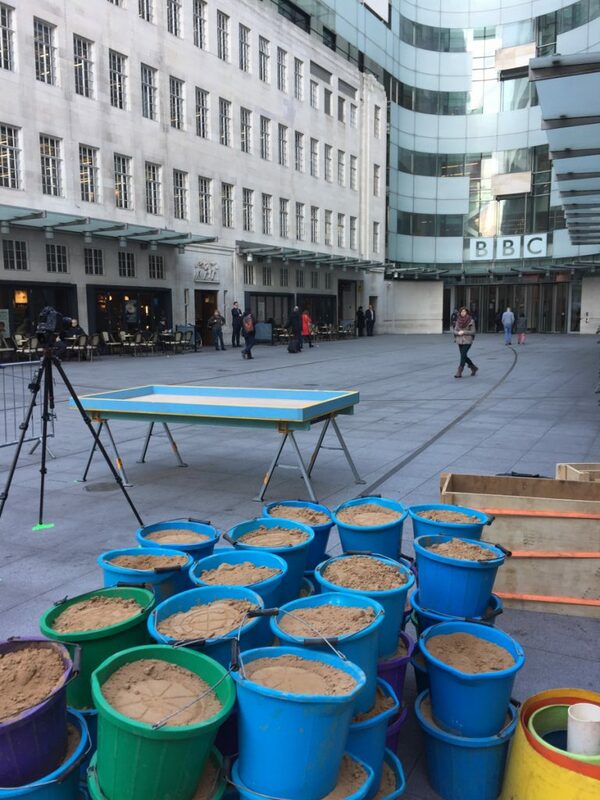 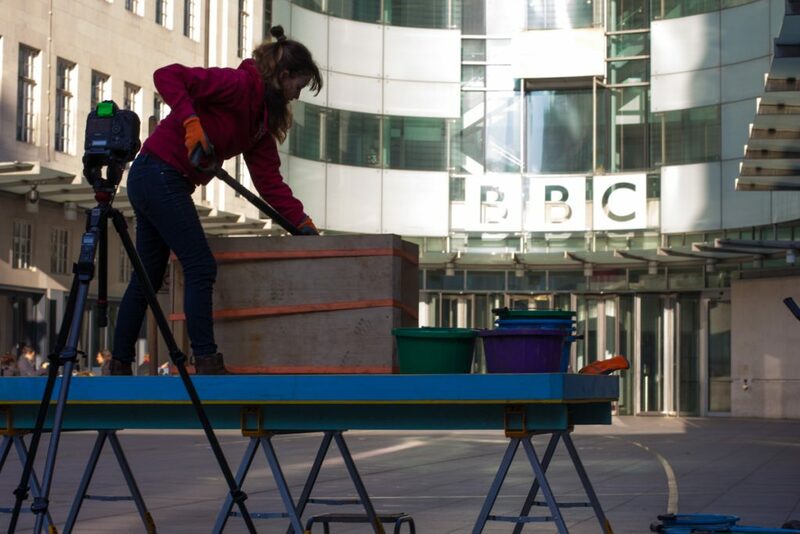 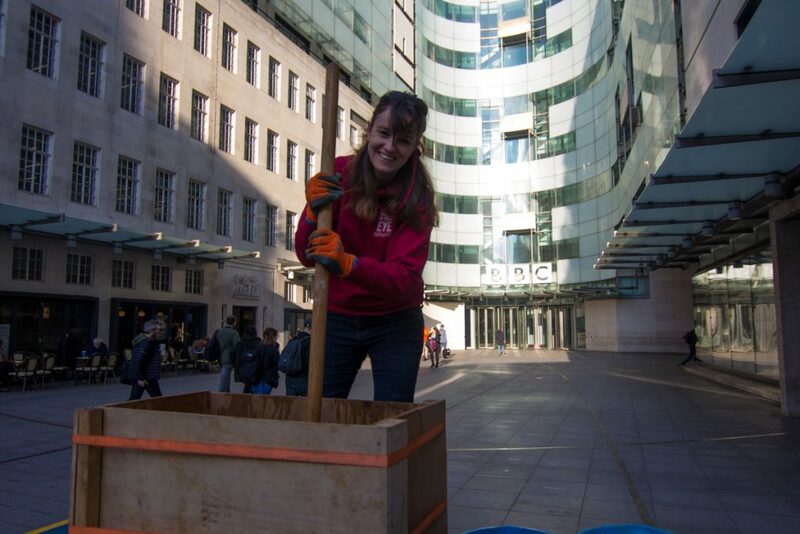 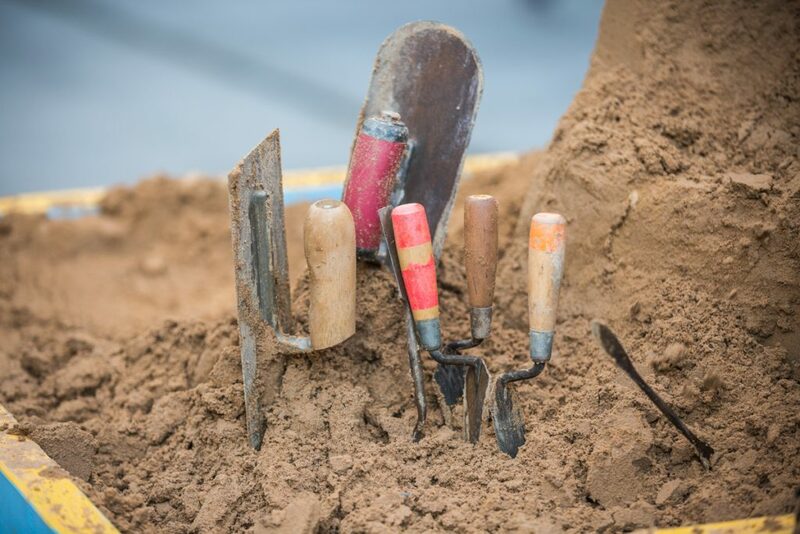 We arrived at Broadcasting House in London with a van full of sand and our trusty sand table early in the morning to begin the build. 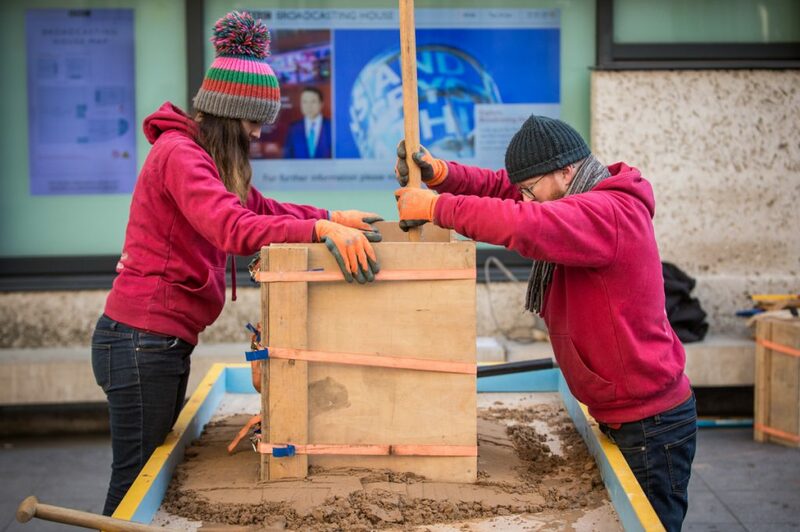 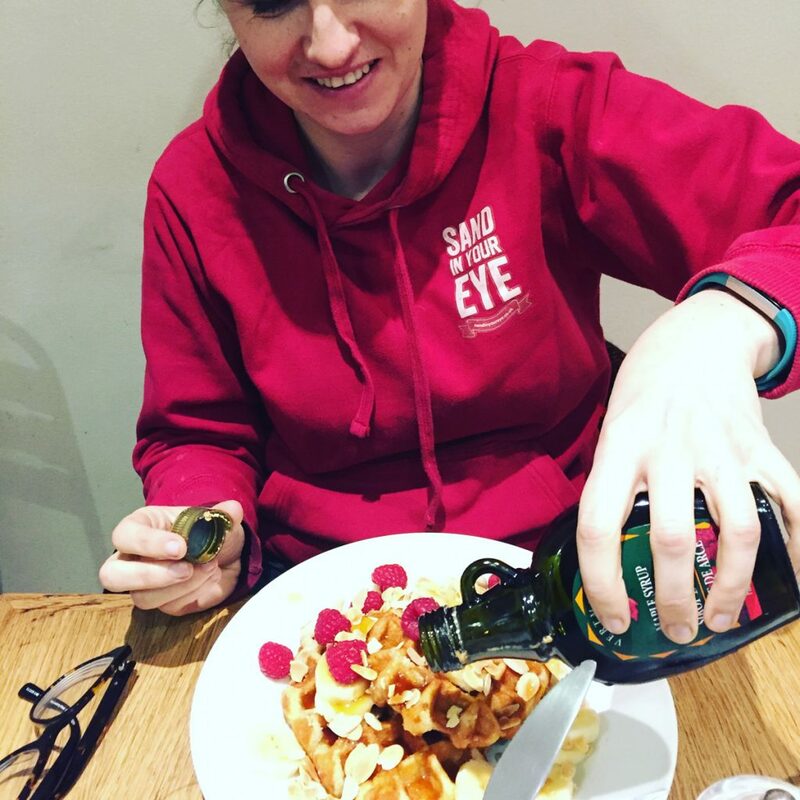 We only had one day to create it and light would be against us at the latter part of the day, so we got cracking. 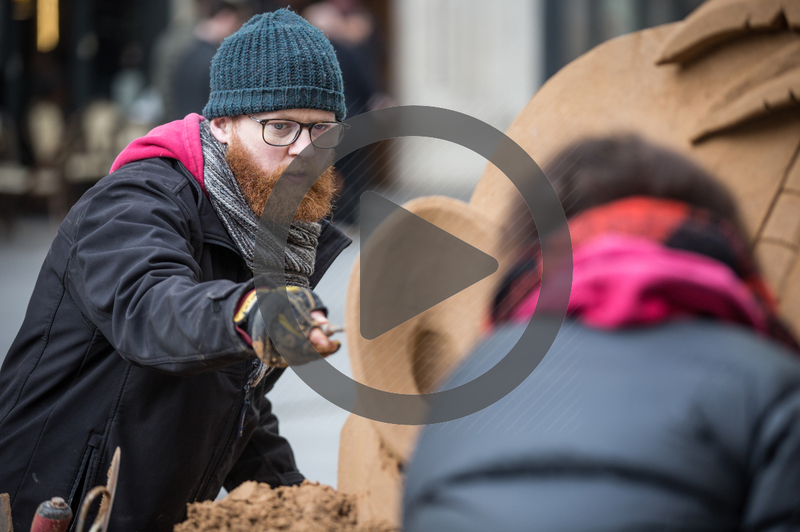 The whole process was captured on timelapse by Ben Grubb. 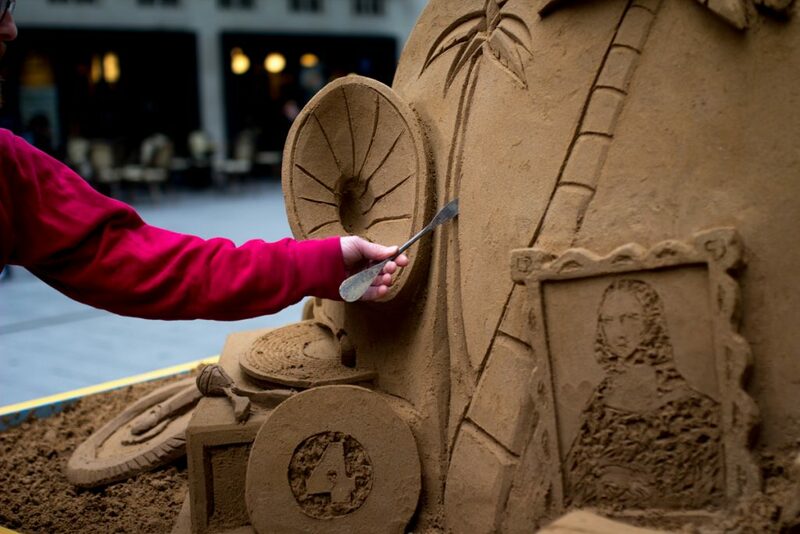 Take a look at the video. 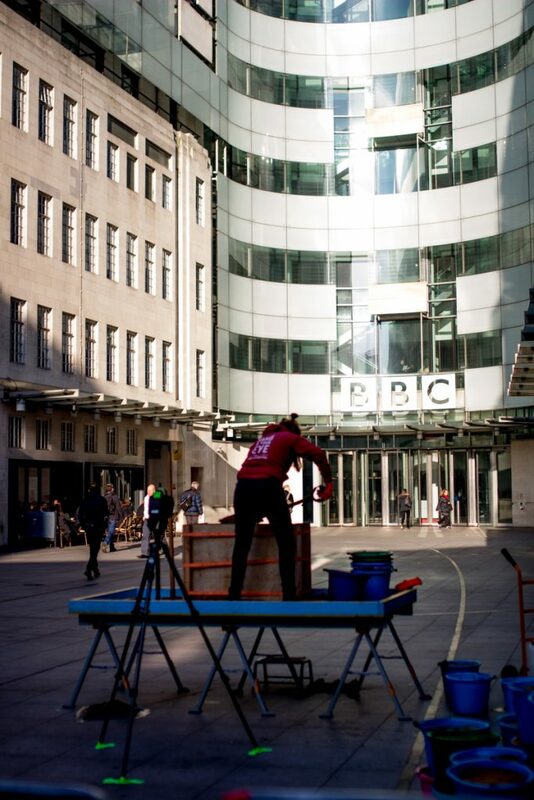 The weather was on our side and we had clear skies all day. 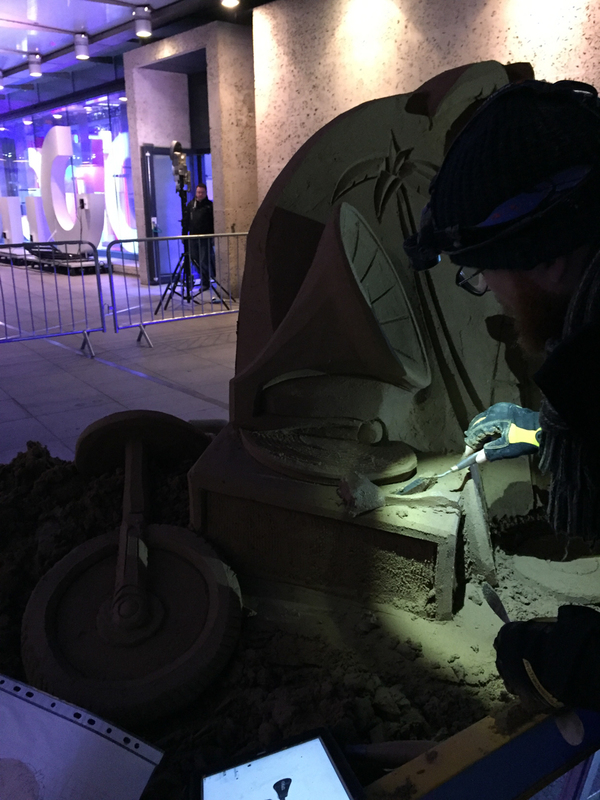 We were asked to add some luxury items in the sculpture for people to guess. 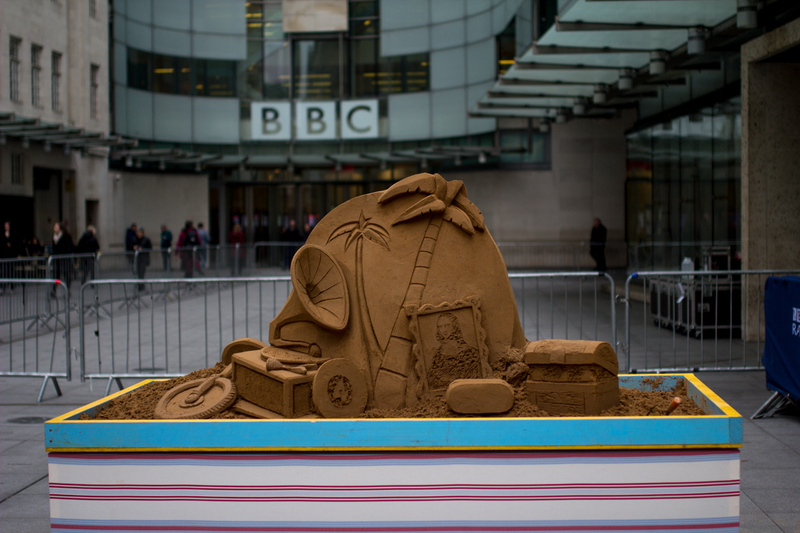 All of these items had been chosen by past guests of the show. 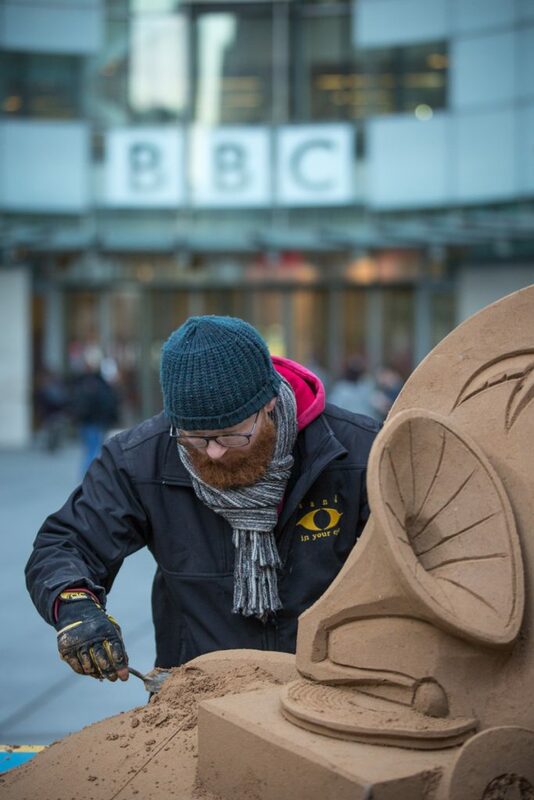 We finished the sculpture on time and had a great day chatting with passers by during sculpting. 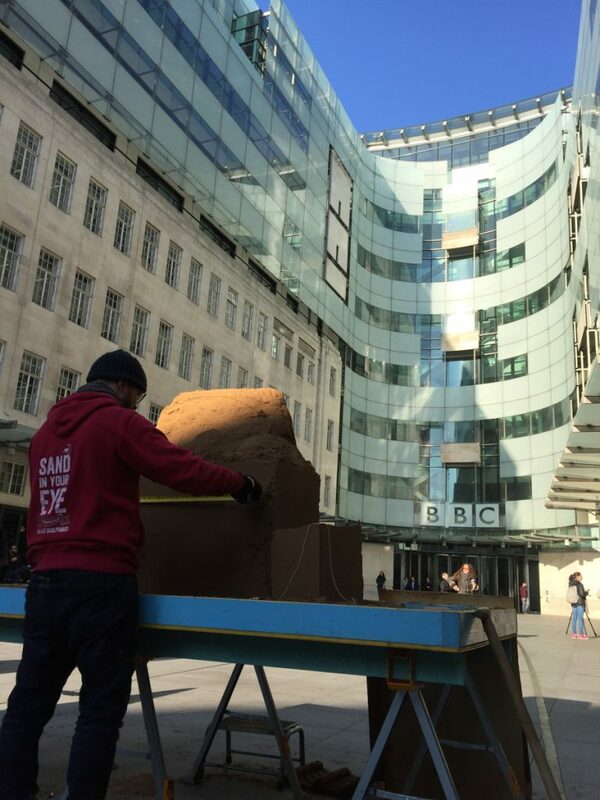 We left the sculpture up until mid afternoon, then we removed it and headed back up north. 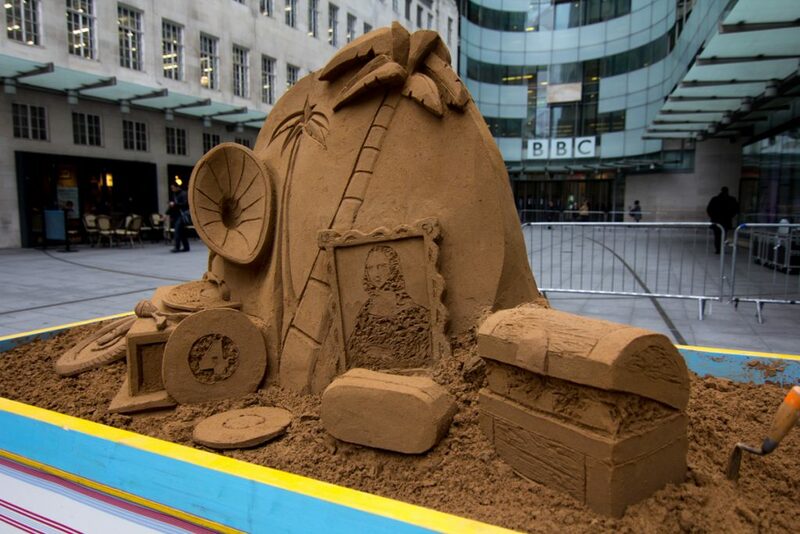 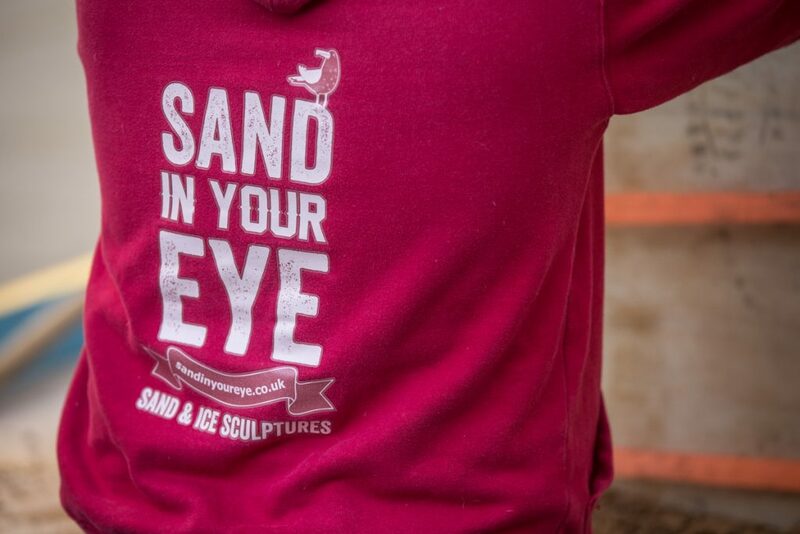 Another fuss free pop up sand sculpture completed. 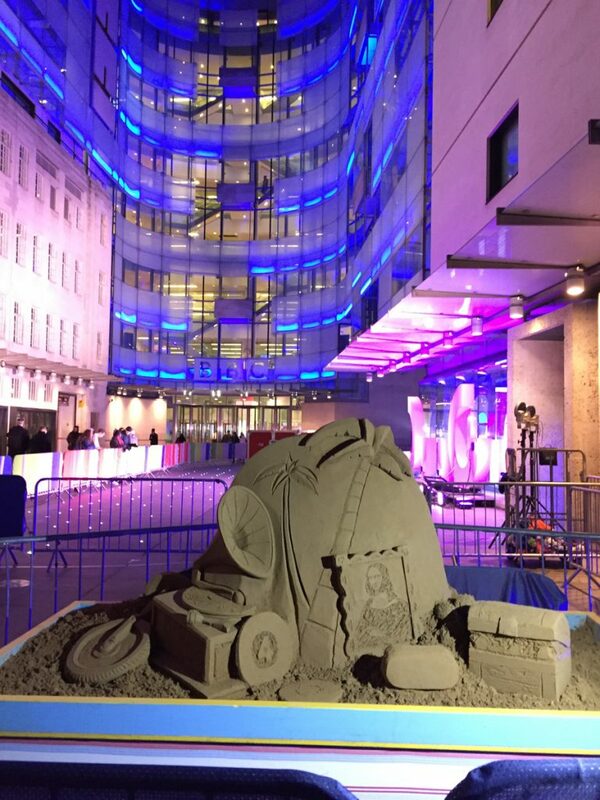 A massive thanks to all at the BBC for their hospitality and a special thank you to Mohammed for looking after our sculpture for us once we left site for the evening. 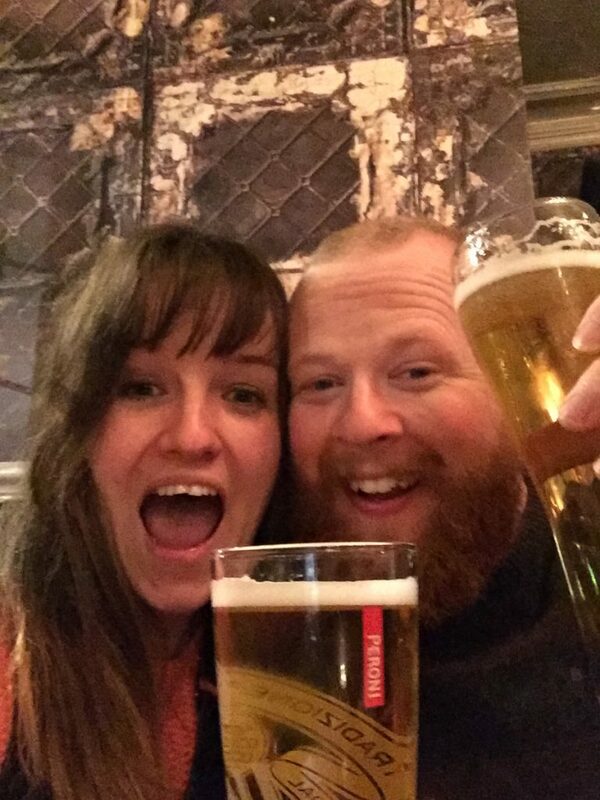 Jamie and Claire relaxing after a hard days sculpting!